The National Table Tennis (TT) Championships conducted by the by the Sri Lanka Schools TT Federation was held at the Colombo St. Thomas College, last Saturday and Sunday. 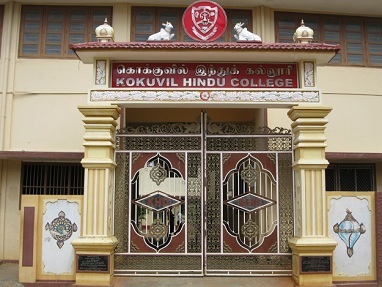 Kokkuvil Hindu’s under 18 Boy’s Team has won the championship in the D-Division and the 2nd place in the E-Division. Their Under 18 Girl’s team has won the 2nd place in the E-Division. In the John Garbret Athletics championships held by the Sri Lanka Athletic Federation, at the Pollonnaruwa Royal College, last week, N.Jasyapriya of Manipay RCM School had won two Medals including a Gold. She Jumped 4.28 M in the under 12 Long Jump event and won a Bronze in 100M sprint in a timing of 14.8 secs.